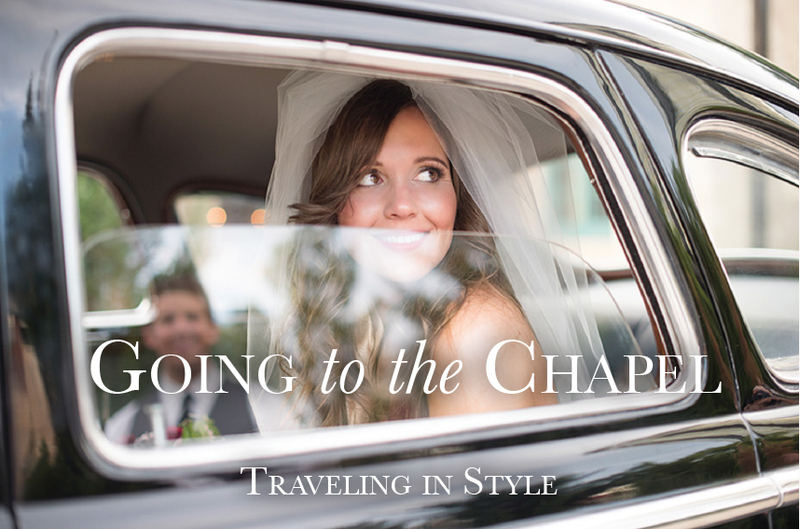 Head to the chapel in style or make a memorable getaway with Oklahoma wedding transportation! 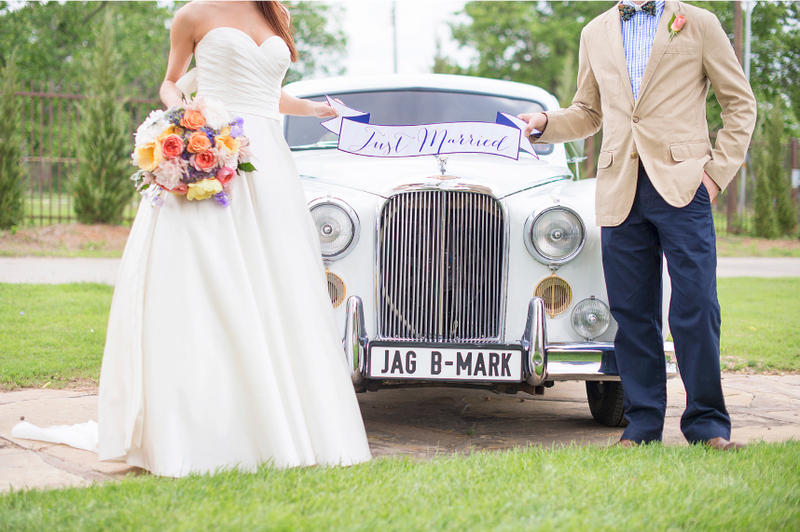 If you’re looking for a classic car to make your grand exit, King’s Limousine’s vintage Jaguar is just the ticket. 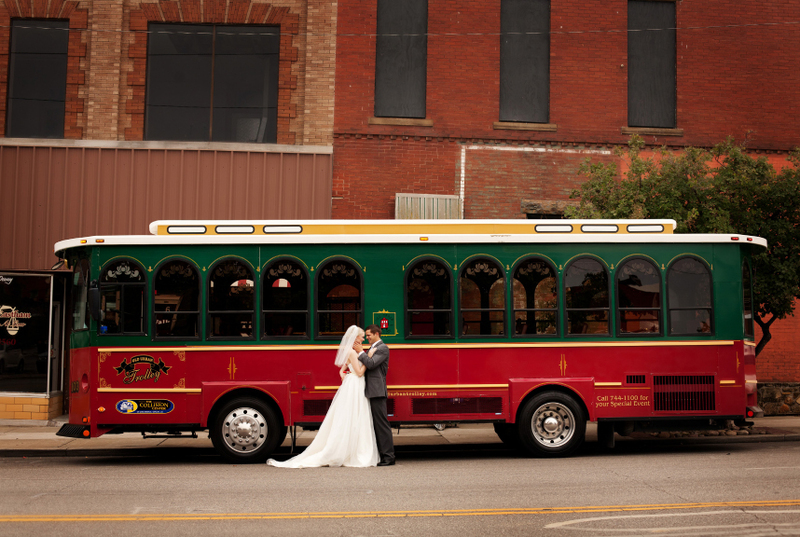 King’s also offers traditional stretch limousines and party buses to suit all of you and your guests needs! 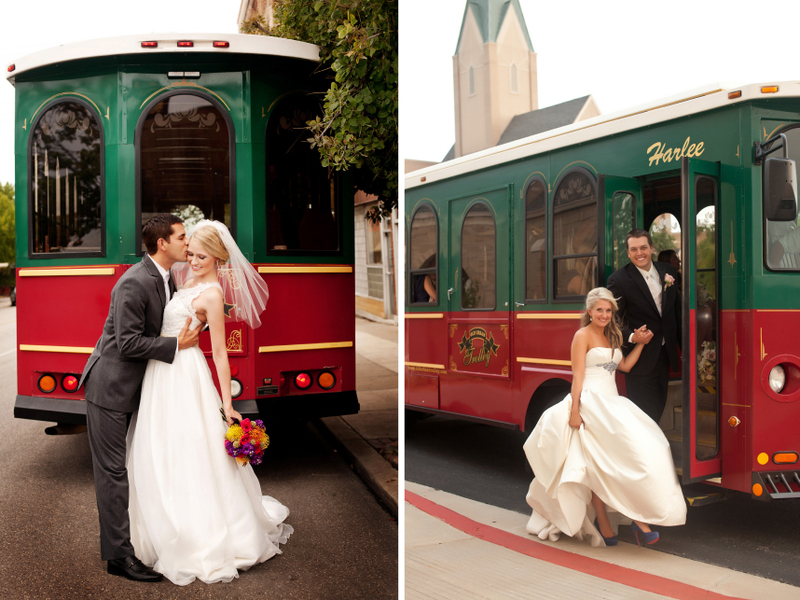 For loads of space and tons of photo ops, check out the fabulous Old Urban Trolley. 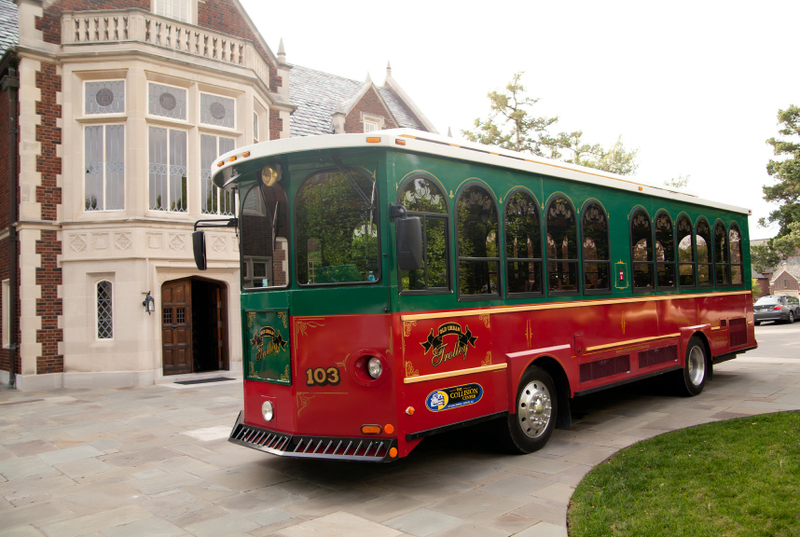 Their impressive fleet of adorable Trolleys are all enclosed, hold over two dozen passengers and are perfect to transport you and your entire wedding party to the wedding and reception! And make sure you don’t leave your guests out in the cold! 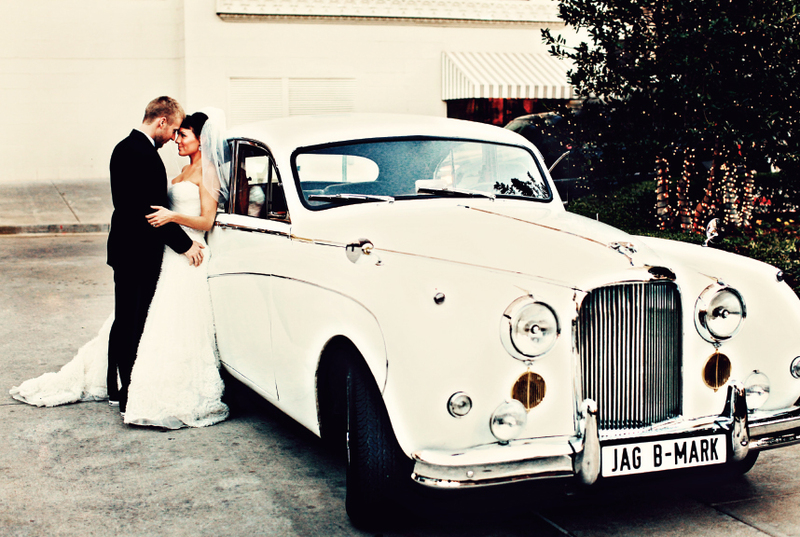 Call the talent teams at Sooner Valet or Exquisite Valet to set up valet services at your big day! 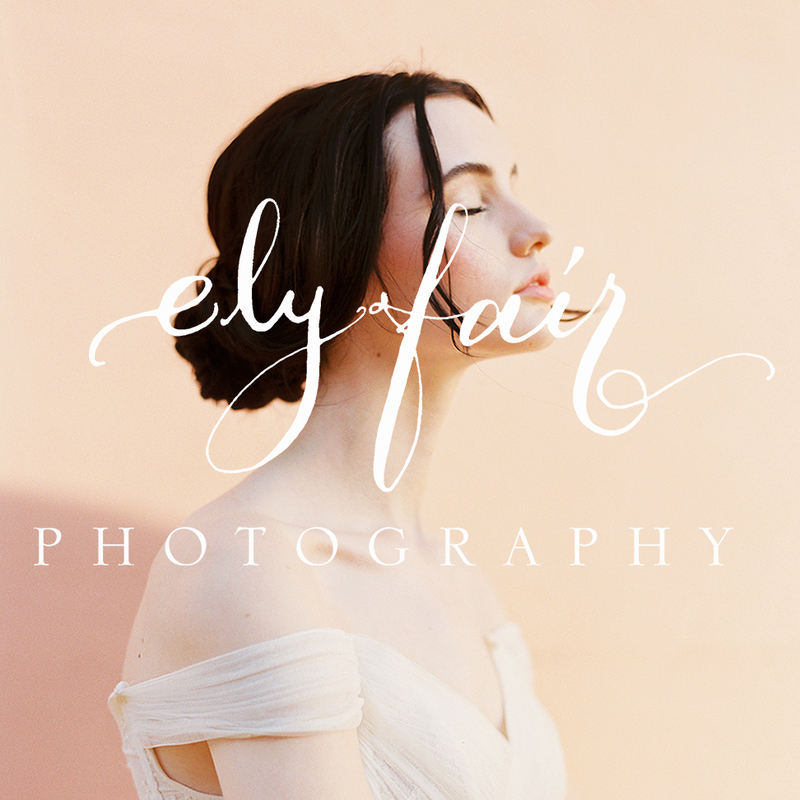 We know your guests will appreciate this luxury service! Cheers!